With all of the technology available today, it is easy to forget the days of spontaneous fun. Think of the enjoyment which used to consume our days before iPhones, iPads and other gadgets of this era! When was the last time you packed up the kids or a group of mates and hit the open road without checking your schedule or coordinating timetables? New Zealand is well known for its picturesque scenery and views and there's no better time to get a car rental and take a road trip to enjoy all the North Island has to offer! It's never been easier or faster to book a car rental thanks to VroomVroomVroom, and once you're behind the wheel, there's nothing better than hitting the open road to your destination with your favourite sounds playing in the background. There are a number of great locations to see on your road trip and let's start right in the middle of the North Island. 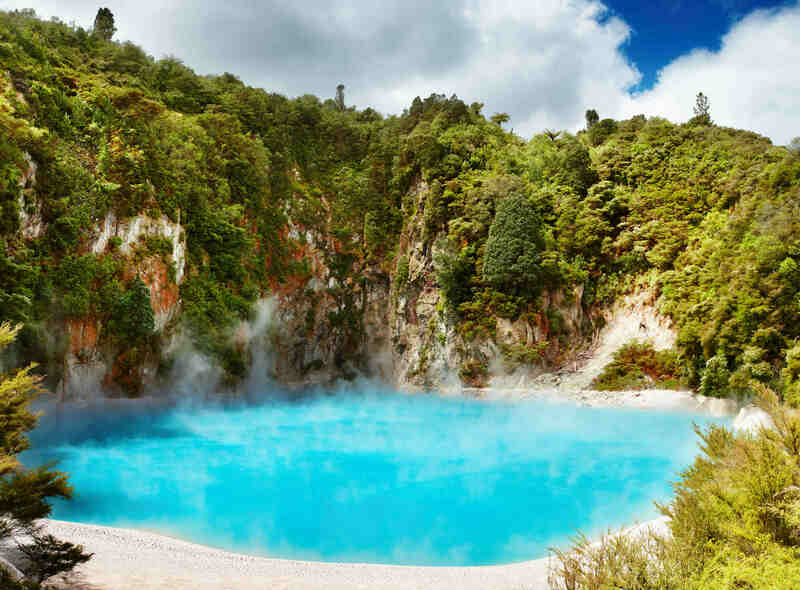 Taupo is a convenient distance from a number of city centres like Rotorua or Napier in your car rental, and Taupo has many free activities. Taupo takes advantage of the best nature has to offer as our longest river the mighty Waikato River meets our largest lake, The Great Lake Taupo. With the abundance of water, there are many natural hot springs to discover in Spa Park. Or, if it's the power of surging water you're interested in, be sure to visit Aratiatia Rapids just before the dam gates of the Waikato River are released -- to witness the gorge transformed from barren to surging rapids when 28 metres of water falls in the space of 1 kilometre! A truly spectacular and powerful sight to behold! If it's a calmer, sweeter atmosphere you're looking for, how about Huka Honey Hive? Situated in Wairakei Tourist Park and neighbouring the most visited and photographed Huka Falls, the Honey Hive is a place to visit for everyone. Whether it's viewing the beehives, tasting the honey or finding the right honey skincare or wellness products you'll be sure to enjoy with free entry. Honey is well-known for its natural healing purposes, so make sure Huka Honey Hive is on your itinerary. To get the most out of your car rental, why not pack a picnic and do the Great Lake Taupo drive? With a total driving distance of 160 kilometres around the entire lake -- and with the most amazing views -- it really is something you won't regret. Lazing on the grass in one of the many parks as you make your way around the Great Lake and taking in all the views of the biggest lake in New Zealand is a relaxing way to spend the day. So remember to leave the iPad at home and enjoy the peacefulness nature has provided!